A compilation of r&b, world, smooth jazz,and inspiration. This is the second cd for Stan Durbin working with mr. earl carter,Stanley did a differrent mix of music on this cd for everyone,smooth jazz,r&b,reagae,and inspirational.Stanley hopes to exspand his career and knowlege of music and hopes this cd brings the sunshine to your lives. 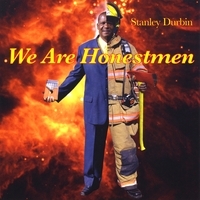 RadioIndy is pleased to present Stanley Durbin with a GrIndie Award for the CD "We Are Honestmen"
If you are in the mood for some smooth and silky R&B then “We Are Honestmen” by Stanley Durbin should be finding its way into your music collection very soon. Durbin’s influences of jazz, reggae and R&B combine together for a very soulful listen. The track “How Are You” has a great Lionel Richie feel in the vocal tonality and a very smooth beat keeping the groove. If you want to hear Durbin’s reggae influence look no further than “We Are Honestmen” a song written about an everyday man trying to make it in the world. Durbin’s latest CD “We Are Honestmen” is a great addition for any R&B fan as it is filled with ideal mood music for any relaxing occasion. STANLEY DURBIN Press Release on Digg.com! FANS: Increase the popularity of this DIGG press release by visiting our homepage at www.radioindy.com and looking for the "Press Release" section in the lower right. Here, you can find and "DIGG" this press release for STANLEY DURBIN. The more DIGGS, the more exposure! DIGG, DIGG IT, DUGG, DIGG THIS, Digg graphics, logos, designs, page headers, button icons, scripts, and other service names are the trademarks of Digg Inc.
RadioIndy is pleased to announced that we have published our CD Review with STANLEY DURBIN's music to iTunes.com. Stanley Durbin is on Amazon.com!